Autism is a development disorder that appears during a child’s first three years of life and often lasts a persons whole lifetime. Autism impacts development in social, interaction, and communication skills and can have behavioral problems. Being autistic is a challenge but doesn't necessarily make you less smart than others. Autistic kids can be extremely smart but are also harder to handle and care for. 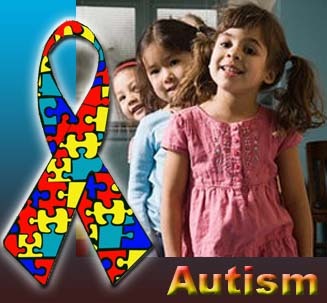 There is only one type of autism and the actual causes of this disorder remain unknown. There are symptoms and signs that help you recognize the disorder early on in a toddler and there are also treatments to help improve the child’s skills. There have been many possible causes suspected for autism but none yet proven. There are few different theories about the causes of autism. The most popular are genetics, mercury, food allergies and the idea that the environment may somehow cause autism. Autism tends to run in families leading to a possible genetic cause. Autopsies of the brain have shown deficits in various parts of the brain and scientists have also found abnormal levels of neurotransmitters in the brain. There are different levels of autism but people constantly refer to the five other development disorders as autism because they are similar disorders and autism is the most well known. These types are Asperger syndrome, Rett syndrome, Pervasive development disorder - not otherwise specified and Childhood disintegrative disorder. 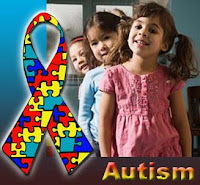 Symptoms and signs of autism are usually suspected by the time the child is around 18 months. Some children with autism appear able and then suddenly regress and lose language or social skills they had. Early signs of autism can include impaired ability to initiate or sustain a conversation with others, avoids eye contact, hard to make friends with peers or an overall difficulty interacting with others, memorizes passages or repeats words, not flexible with changes made to specific routines, absence or impairment of imagination and social play, repetitive or unusual use of language, show attachment to objects, may laugh at inappropriate times, no fear of danger, over or under sensitivity to pain, sight, hearing, touch, smell, or taste, and may like to be alone. These are some of the many characteristics that could lead you to conclude a child has autism. It is important to analyze the symptoms that your child has before trying to receive treatment because this can make autism treatment more valuable. Most individuals with autism respond better to structured, specialized programs. Depending on your child's levels of disorder, you can have a combination of different treatments but are most successful when accommodate a child's particular needs. There are no specific medications for autism individuals. The medications used are those that have been developed to treat similar symptoms in other disorders. An important tip to use is work with a doctor who has had experience with autistic patients. Autism is most often a lifetime disorder. Autistic people can attend school till they are 22 and then services end. Some adults with autism, are able to work successfully in real and normal jobs. Before a child finishes school you should search for jobs and programs that your young adult can take on. 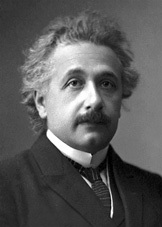 Researchers believe both Albert Einstein and Isaac Newton may have had Asperger syndrome, a development disorder in the autism spectrum. These individuals were some of the most important and smart people in history! Nice job sis well written it looked a Lil weird tho i say an A- at least!